Starting May, we will be doing "Oh the Possibilities for Spring". This is a continuing wall hanging from Kimberbell. This will require the Kimberbell CD & Book. 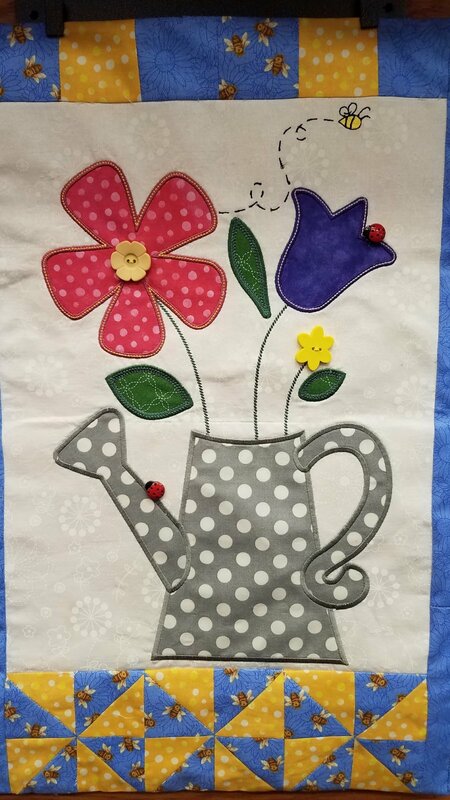 First, we will do the Spring Wall Hanging. Then, we will do the pillow and table runner in June. Kits will be available.